This is a silent retreat weekend for all those considering a vocation to the Priesthood. Surrounded by the serene and peaceful bushlands of Mount Schoenstatt, this weekend will enable you to spend some time in prayerful silence with Daily Mass, Rosary, Prayer of the Church, Adoration and much more. 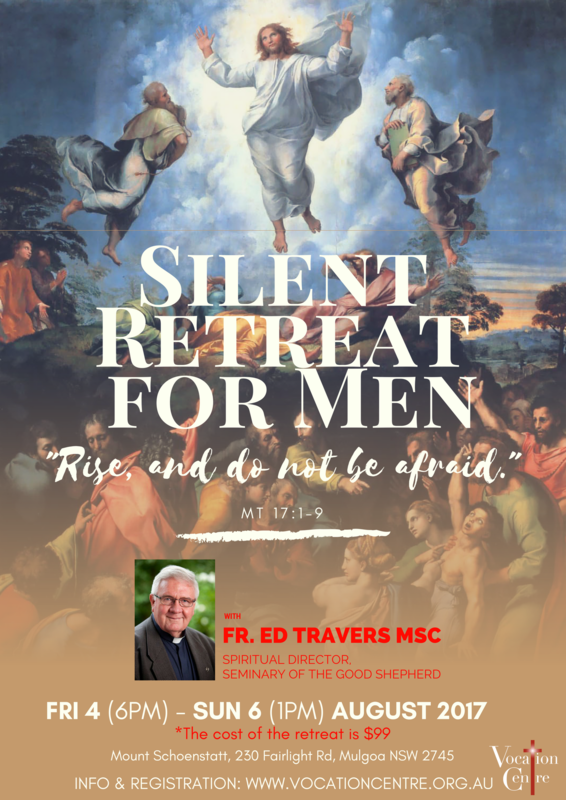 This silent retreat for men will be led by Fr. Edmond (Ed) Travers MSC – Spiritual Director of the Seminary of the Good Shepherd, Homebush. The cost of the retreat is $99. Note: Participants of this retreat must be 18 – 35 yrs old.